In my family, we sometimes have kids who are just too cute to go to school. It happened to my sister and I when we were growing up, and it happens to my girls now, too. Of course, we always DID go to school, even if we were too cute. When I unpacked my scrapbooking stuff a few weeks ago, I found the photos I took of Summer Lily the first time she was too cute to go to school. The 2Peas Summer CHA Social challenge to scrap a fall photo was the perfect chance to finally get this picture on a page, since it was taken in early fall. 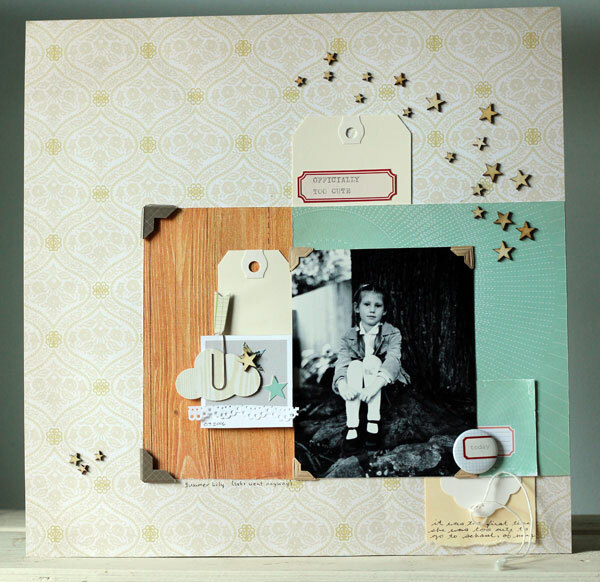 Used LOTS of Studio Calico stuff on this page. The background paper is from the Memoir collection; both of the 6*6 pieces are from the Take Note 6*6 pad. I typed the title onto an old Jenni Bowlin label from my stash of many years ago. LOVE these Studio Calico wooden veneer stars. I've already used an entire package, and just ordered my second package. Love, love. Such an awesome size, love that they come in three different sizes, great little bit of dimension on the page. 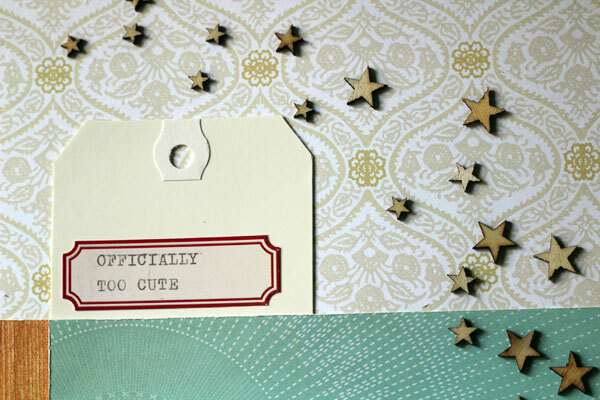 The little card with the label printed on it was trimmed from the Take Note Collection 6*6 pad. 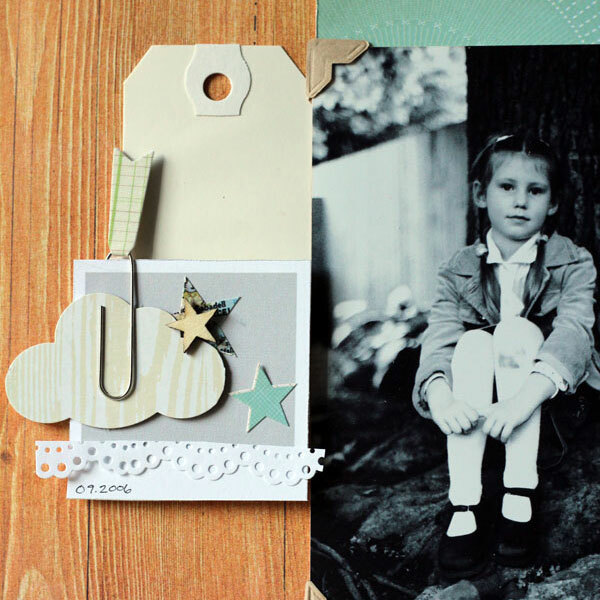 And the flair is also from Take Note, one of my favourite Studio Calico collections. I made a little collage beside the photo of a plain shipping tag; a polaroid frame cut from the b-side of Studio Calico Numerical paper; Studio Calico map-printed star stickers; a Studio Calico Take Note flag paper clip; and a cloud I punched from some Studio Calico packaging. 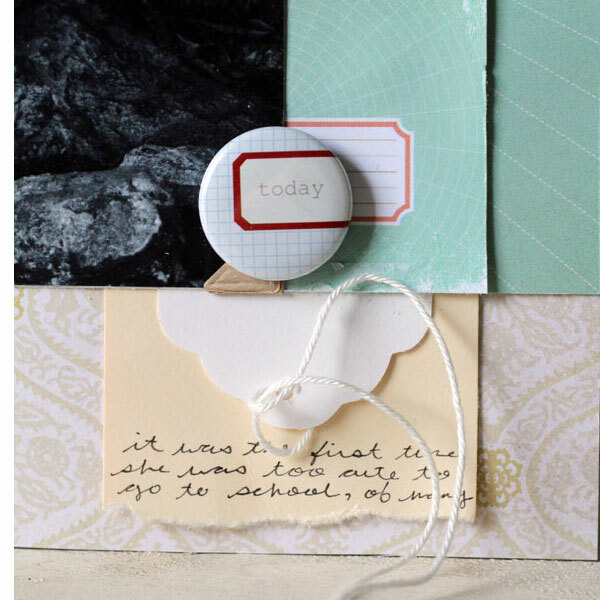 Supplies: patterned paper (Studio Calico); paper clip (Studio Calico); label (Jenni Bowlin); wood veneer (Studio Calico); star stickers (Studio Calico); photo corners (Canson); punches (Fiskars, Martha Stewart); tags (the Paper Company, Avery); pen (Sakura); flair (Studio Calico).